Are MSTN and CKM Gene's Associated With Endurance Performance? Blog Are MSTN and CKM Gene's Associated With Elite Endurance Performance? 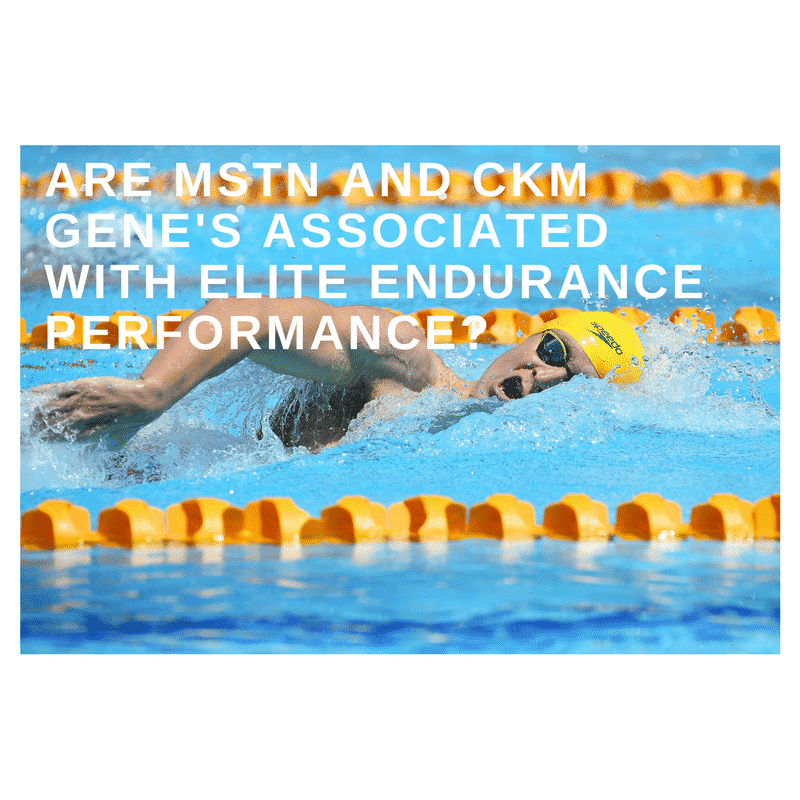 Are MSTN and CKM Gene’s Associated With Elite Endurance Performance? Elite aerobic athletes typically utilize extensive exercise training, expert coaching, proper nutrition, motivation, genetics, and many other factors. Genes have been associated with athletic success in sprint events, but little is known about the contribution of specific genes and sequence variants as indicators of endurance performance. Myostatin (MSTN) and muscle-specific creatine kinase (CKM) are related to skeletal muscle integrity and performance and aerobic fitness response to physical training. The CKM single nucleotide ploymorphism (SNP) within the 3′-flanking gene region has been associated with VO2max change after endurance training but failed to show any significant association with top-level endurance capacity. MSTN acts to control the differentiation and proliferation of skeletal muscle. MSTN is a negative regulator of skeletal muscle mass. MSTN 2379 A>G was associated with baseline muscle strength in African Americans. Two MSTN cDNA-coding polymorphisms (Ala55Thr, Lys153Arg) have shown significant allele frequency differences in human populations. Maximal oxygen uptake (VO2max) is one of the most important determinants of elite endurance performance. This studied looked to see if SNPs in myostatin and creatine kinase genes are thought to influence VO2max and skeletal muscle performance. Common MSTN (rs3791783, rs11681628 and rs7570532) and CKM (rs344816, rs10410448, rs432979, rs1133190, rs7260359, rs7260463 and rs4884) SNPs, selected from HapMap CEU data from 316 Caucasian elite endurance athletes and 304 sedentary controls. Association between SNPs and exercise performance was determined and a statistically significant difference was set at <0.01. None of the SNPs showed a significant association with elite endurance status. Common variants of myostatin and creatine kinase genes do not play a role in high-level endurance performance in Caucasians. Even though this is the largest sample size to date, it is relatively small for genetic studies. As gene testing and potentially gene doping come into question, understanding the exact genes and SNPs for athletic performance is important to understand. To reiterate, these genes are only a fraction of athletic success and many more gene combinations and interactions need to be studied to evaluate the potential of genes and success. Whole genome associations will need to be performed in larger populations to determine any new genes for endurance performance. Döring F, Onur S, Kürbitz C, Boulay MR, Pérusse L, Rankinen T, Rauramaa R, Wolfarth B, Bouchard C. Single nucleotide polymorphisms in the myostatin (MSTN) and muscle creatine kinase (CKM) genes are not associated with elite endurance performance. Scand J Med Sci Sports. 2011 Dec;21(6):841-5.